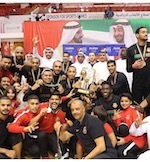 Sharjah celebrated the second consecutive victory at the Asia Champions Cup GBA Qualifiers. They prevailed against Rayyan for 2-0 record. Tyler Wilkerson (203-F-88, college: Marshall) stepped up with 31 points, 15 rebounds and 7 assists to lead the Emirati team. Sharjah got to a strong start. They built a comfortable 50:31 halftime lead. Rayyan tried to turn things around in the second half but came up short at the end. James Justice (178-PG-89, college: Martin Methodist) finished with 26 points for the winners. 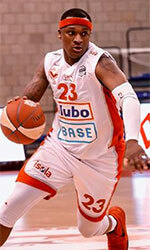 Preston Knowles (187-G-89, college: Louisville) replied with 28 points, 14 rebounds and 7 assists for the Qatari side.